Sunrise have over 6 years of expreience in products development and manufacturing. We have 20000 sq.ft office, warehouse and production plant in Ningbo with more than 200 staffs. passed CCC/GS/CE. 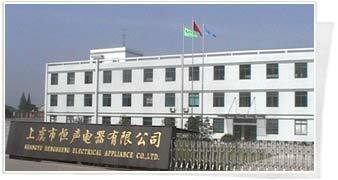 Sunrise has in-house molding, plastic,and electrical appliance assembly that investment in equipments facilities,research & Development,We handle all steps of Production,from raw matenial to finished goods,In addition, our strong R&D dept,consrantly up-to-date model to widen your selection.